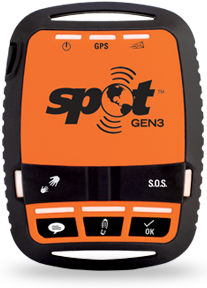 When your adventures take you beyond cell service, SPOT Gen3 lets family and friends know you’re ok or sends emergency responders your GPS location, all at the push of a button. This fantastic piece of technologie can send a GPS position and communications (by satellite) from most of the regions in the world. Since we will pass, certainly, (we hope!) by many places where even people don’t exist (even less a mobile network) we thought it was a good idea to bring it with us. It also has an option for asking for the the fastest rescue possible in each country where we may be.
. 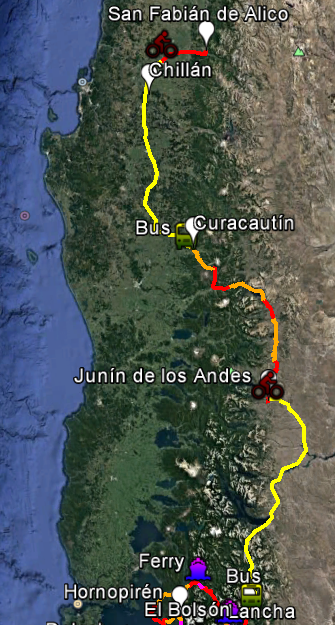 Even though we are not exactly counting on the capacity of the eventual south-american rescue teams for finding us in the middle of Patagonia in less than 20 min, we thought that at least it was a good idea to share our position with those we may want to know our whereabouts. NOTE FOR THE MOST ANXIOUS: We won’t have the SPOT on all the time. It would consume too much energy. Hence, we will send our position or one of the pre-set messages from time to time. Maybe once per day, maybe once per week. UPDATE! 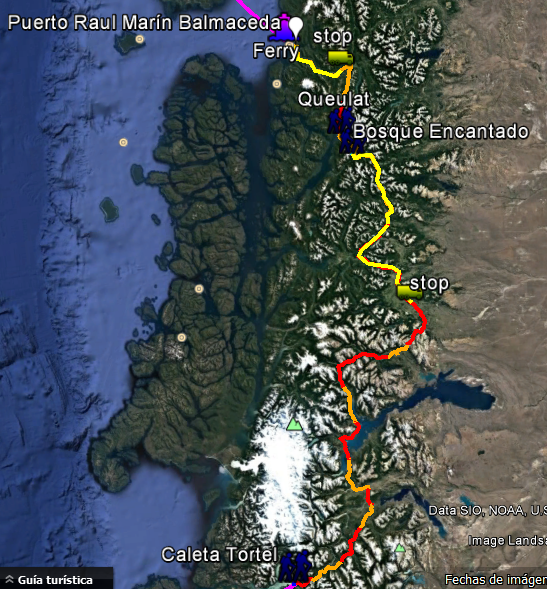 The region of Tierra del Fuego, among others, is at the limit of SPOT coverage. This means that the comunication of the SPOT with the satellite is random. Since we can never know which points were sent or not without a wi-fi access, we appologize if the tracking is not particularly efficient. For Peninsula Mitre, for example, a satellite phone is a more reliable option than the SPOT. 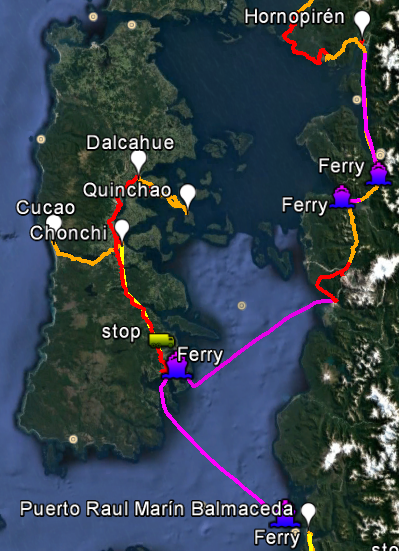 Easier or harder to interpret, depending on the informatics level of each one, each orange marker corresponds to one of our positions in the map. 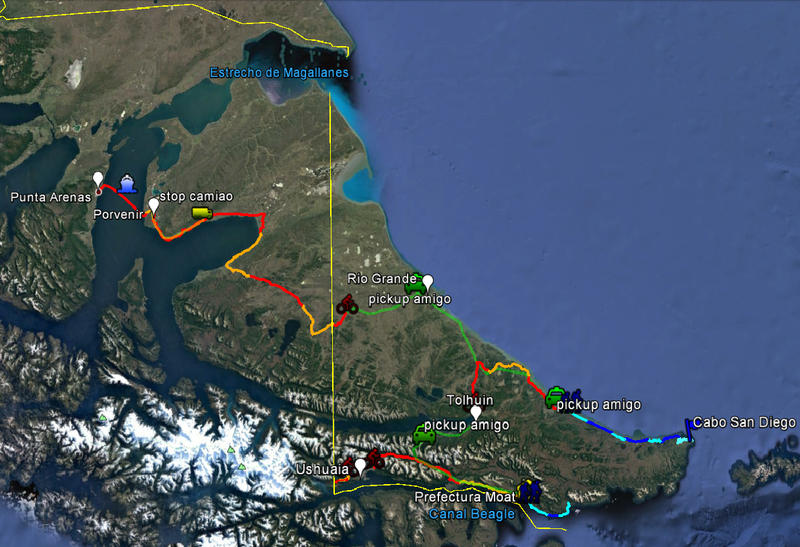 The map is a google maps one, you can change options, satellite view, terrain, etc. In the left-side column, there is the list of positions with the corresponding date and hour. Each point has a display time interval of a week. 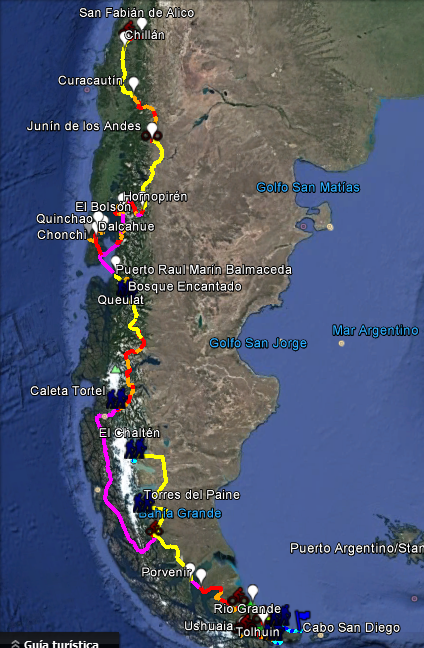 Since the SPOT does not save the points that were emitted more than one week before, we will try to keep a static and more detailed track of the entire voyage.